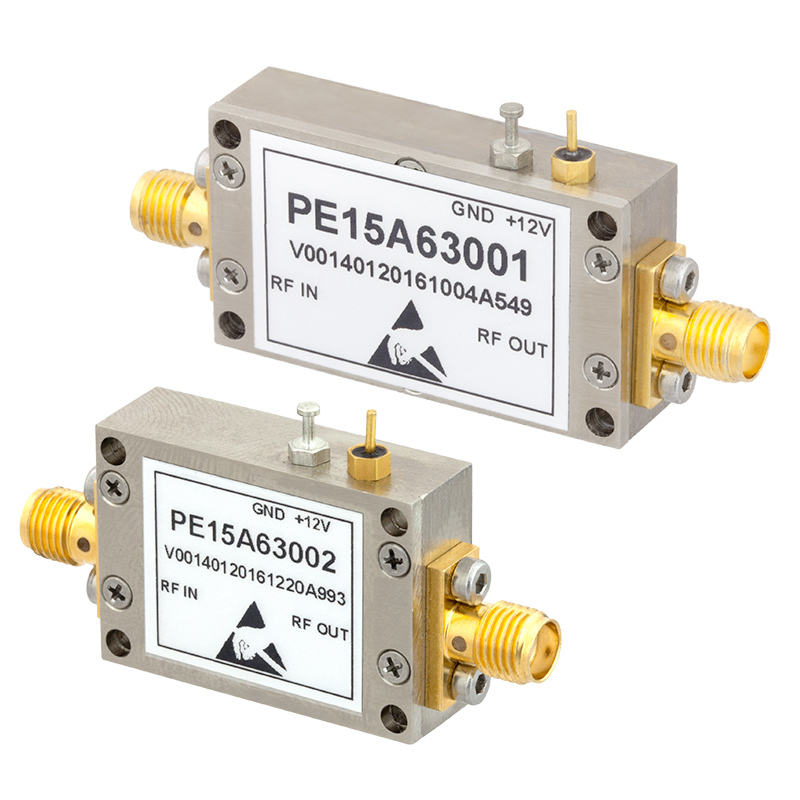 Pasternack has released a new line of input-protected low-noise amplifiers (LNA’s) with no damage up to +30 dBm CW input power that are designed for radar systems, EW applications, military/microwave radios, wireless and satellite communications and test instrumentation. The new line of amplifiers consists of 12 different models that cover a range of frequency bands from 10 MHz to 3.5 GHz. These designs exhibit typical performance that includes noise figure levels from 0.8 to 1.6 dB, high-small signal gain ranging from 25 to 40 dB, and low VSWR levels from 1.3:1 to 1.5:1. This performance is achieved through the use of hybrid MIC designs that incorporate PIN diode limiter circuitry and Enhancement mode (Emode) GaAs pHEMT semiconductor devices. These amplifiers operate with a bias voltage of +12V typical over the temperature range of -40°C to +85°C. The 50 Ohm, SMA connectorised modules are unconditionally stable, include built-in voltage regulation and have DC blocking capacitors on the RF ports.